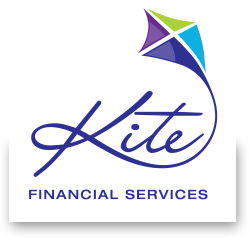 Kite Financial Services – helping you and your family plan for a better future. Investing can build enough wealth to provide financial security and a comfortable lifestyle but it can be complex and there are many options to choose from, so it is important that you have the right professional advice. It’s often said that you can’t meet you goals without a plan and your finances are no different. Formulating a financial plan with your financial adviser can provide you with direction and a disciplined approach. What do you want to achieve and by when? Many people find it easier to identify goals of up to five years time such as buying a bigger home, acquiring an investment property or saving for your children’s education. Long-term goals of more than five years may be less precise but should be reviewed regularly to respond to changing markets, government legislation and your own personal situation. What financial plan suits you? When we meet to find out more about your goals and lifestage, we’ll establish your risk profile. We’ll look at your present financial position, including your total assets and debts. We’ll also consider your career plans – in particular, how long you wish to work full-time – so we can estimate your future income and savings potential. We will suggest different strategies and investments that meet your needs. For example, superannuation may suit someone wishing to minimise their long-term tax liability, but if you are seeking high growth over a long period and are comfortable taking on more risk, you might consider a geared investment. We will also look at how you can use insurance to help protect your loved ones and your way of life in case of unexpected events. A Kite Financial Services Pty Ltd financial adviser can help build you a financial plan that suits your financial and life goals. Please contact us via phone 1300 695 830 or email us.